UPDATE: It has more to do with risky assets and Atlanticism than whistleblowers. Jes Staley's last few months resemble what in polite society let’s refer to as an ‘insanitary sandwich’. First there were strong full-year results for 2016, with headline pre-tax profits nearly tripling to £3.2bn. But then came whistleblower-gate, where the CEO was formally reprimanded for directing Barclays security to identify a staff member making accusations against a senior appointment. That's enough to leave a bad taste in anyone's mouth. The American will hope that strong first quarter results will help cleanse the palate: Q1 pre-tax profits doubled to £1.2bn, driven in large part by a 70% reduction in non-core losses. Pesky, non-core risk-weighted assets (RWAs) are about as fashionable these days as the flat-top mullet. Since the crisis, all bank bosses have been busy shaving them off, under the beady eye of the regulators. Staley’s efforts are certainly beginning to pay off. Barclays' RWAs are now only £27bn, having been over £75bn at the end of 2014. Broadly, Staley’s strategy is cut RWAs, and double down on British and American investment and commercial banking, but for a more detailed look, here’s MT’s take on his first full-year results, from 1 March 2016. When Barclays chairman John McFarlane gave ‘Saint Antony’ Jenkins the boot last year, you’d have been forgiven for expecting a dramatic turn in the bank’s strategy. 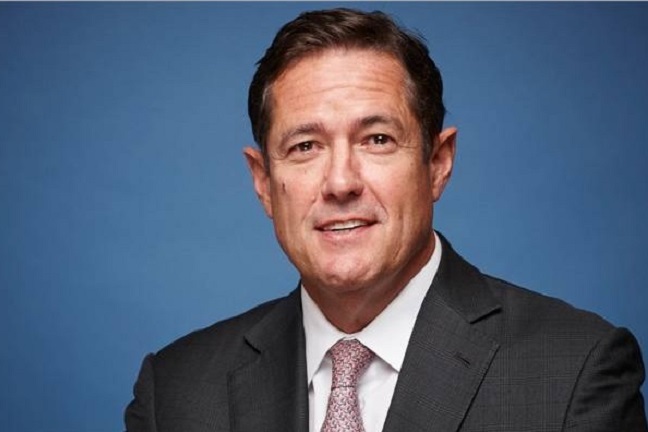 New CEO Jes Staley is, after all, an American I-Bank veteran, who spent years at JP Morgan Chase. You wouldn't replace ethical retail banker Jenkins with an investment banker only to have him behave like Jenkins, right? Yet what’s actually changed? Staley almost immediately started reading from Jenkins’ hymn book, talking of ‘completing the necessary transformation’ and seeking a ‘less capital intensive’ investment arm. Indeed, he has in some respects continued along the cost-cutting and de-risking course plotted by Jenkins years ago. The bank cut its non-core risk-weighted assets (RWAs) by 39% to £46.6bn in 2015, while Staley recently announced it would exit first eight countries in the Asia-Pacific region and then the whole of Africa (read why here). But the apparent similarities do belie an important shift in strategy. In Barclays’ 2014 full-year results, the word ‘transform’ appeared 62 times – very largely because that was the name of Jenkins’ restructuring programme, designed to shrink the investment bank to a more modest size. In 2015’s results, the word doesn’t appear once. Why did Barclays sack Saint Antony? Read MT's report on Jenkins' three years at the top. Staley is trying to get rid of RWAs because every bank has to get rid of RWAs if they know what’s good for them. He’s retreating from Asia and Africa not out of any reluctance to seek out higher risks and higher rewards, but because he wants to take them over here instead. ‘At the heart of Barclays’ strategy is to build on our strength as a transatlantic Consumer, Corporate and Investment bank anchored in the two financial centres of the world, London and New York,’ he said. This will be one of the two new divisions within Barclays, the other being its ring-fenced UK retail bank, but there’s little doubt where Staley sees the profits coming from. The first stage of his plan is similar to Jenkins’ out of sheer necessity. Barclays has little choice after all but to ride out the ‘legacy headwinds’ of regulatory charges (it set aside another £4bn for PPI mis-selling, forex fixing and other litigation in 2015) and imposed capital ratios. Selling down its stake in its African bank and, indeed, cutting its 2016 and 2017 dividends by 54% will both help Barclays to do that. But the legacy storm won’t rage forever. Once the painful battering of regulatory pay-outs ends, Staley has promised that his ‘dramatically simplified’ bank will ‘pay out a significant proportion of earnings in dividends to shareholders over time’. Whether that’s the be all and end all of Staley’s strategy remains to be seen. It could be that the bank is mustering its strength for something that won’t have been discussed in Barclays’ august boardroom since the days when it gobbled up what was left of Lehmans - expansion. It’s a fairly basic rule of business, after all, that if you’ve found out what you do well (in this case, Staley clearly believes, UK and US investment banking), then do more of it. Could the bank be preparing to make up some of the ground it lost in recent years on Staley’s home turf, Wall Street? It’s far from certain that this is what Staley wants or indeed if the bank could manage it, but it would certainly cast his appointment in a new light.